Two journalists added to the US' terrorist “kill list” under President Barack Obama are suing to be removed. They accuse the US of conspiracy to commit murder outside its borders and violating international law by targeting civilians in drone strikes. On Thursday, Ahmad Zaidan, the former Al Jazeera Islamabad Bureau Chief, and Bilal Kareem, a freelance journalist, filed a lawsuit in the US District Court in Washington alleging they were erroneously placed on a kill list under former President Barack Obama’s administration, which they say, President Donald Trump has illegally continued. Zaidan was the first journalist to interview Osama Bin Laden in 1998 and Kareem is a US citizen who “narrowly avoided being killed by five separate air strikes,” according to the lawsuit filed by UK-based human rights group Reprieve. The suit claims both were labeled as terrorists and targeted as a result of an algorithm which gathered data and metadata from their travels, communications, as well as social media content and contacts. They contend that they do not “pose any threat” and killing them “would constitute an assassination” under Section 2.11 of Executive Order 12333. While the lawsuit acknowledges that both men were placed on the kill list under the Obama administration, they are suing Trump over his decision to keep them on as well as his decision to remove restrictions on placing people on the list. CIA Director Michael Pompeo, Secretary of Defense James Mattis, Homeland Security Secretary John Kelly, Attorney General Jeff Sessions, Director of National Intelligence Dan Coats and National Security Adviser Herbert McMaster, as well as their departments, agencies or offices, are also named in the complaint. In 2015, a powerpoint slide leaked by whistleblower Edward Snowden showed the National Security Agency (NSA) labeled Zaidan as a member of Al Qaeda and the Muslim Brotherhood, according the Intercept. Zaidan’s cell phone data was analyzed by a program that searches for terrorists called SKYNET. The program found him to be the highest rated target due to his work-related travels and calls to certain regions in the Middle East. 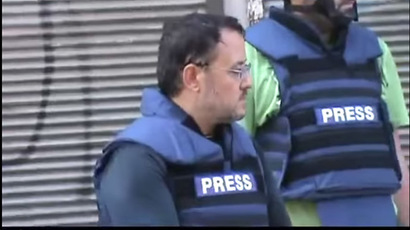 Kareem contends that while working as a journalist in Syria, he was nearly hit by drones on at least five occasions. The lawsuit describes one incident in which Kareem was nearly hit by a drone-launched Hellfire missile while sitting in a parked truck. “All of a sudden, everything went black. Kareem had been facing in one direction towards the tree, and suddenly the vehicle was flipped upside down. The vehicle had been hurled into the air by the force of the blast; it turned over and also ended up facing the other way. Kareem only survived because he was wearing a bulletproof press vest,” the lawsuit says. The lawsuit contends that Kareem was the one targeted in these attacks which were carried out because he was included on the kill list. 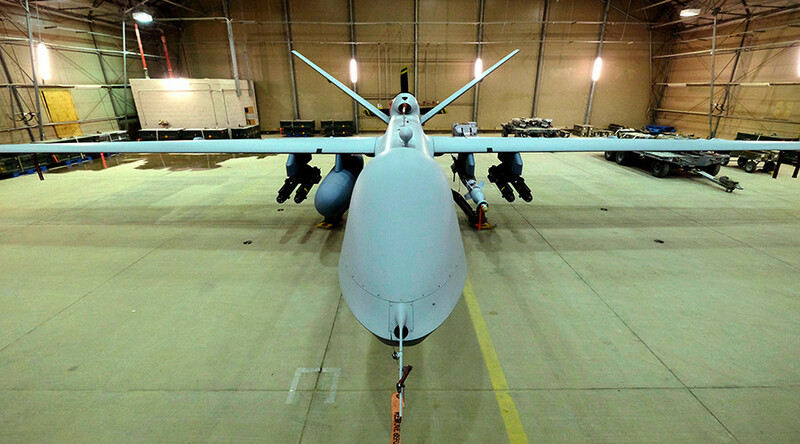 “It is an affront to US values that journalists are living in fear of being killed by US drones, simply for doing their jobs,” Kate Higham, head of the Assassinations Project at Reprieve, said, according to a press release from the organization. “The inclusion of reporters on a US ‘kill list’ on the basis of their metadata makes a mockery of due process, and will do nothing to make Americans safer. President Trump must urgently review the entire targeting program, before any reporters are killed on his watch,” Higham said.